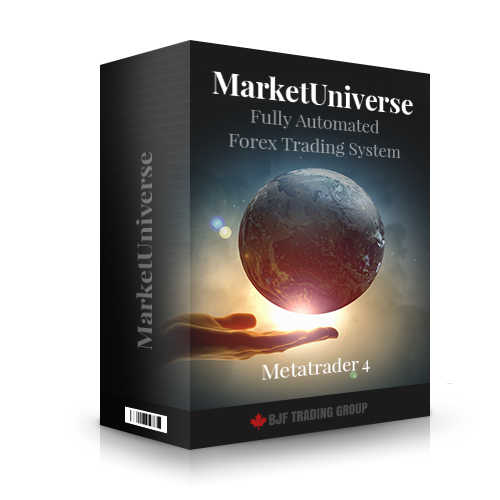 How does the "MarketUniverse" Trend Following Expert Advisor work? 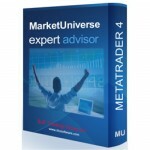 "MarketUniverse" confirms old motto: the best profitable experts are simple experts. iMACD-CDU custom indicator was developed to extend the base functionality of standard MACD indicator. "iMACD-CDU" is the abbreviation of "Universal MACD". c) Indicators offset relate to the chart by timeframe of first and second MA. MACDU.SignalBar param manages open bar (set 0) or first closed bar (set 1) of "Universal MACD". On BUY or SELL signal "MarketUniverse" opens 2 orders. Every order has individual trade volume settings. Alternatively you can use the option to dynamically calculate lots volume as percent of AccountBalance. First order trades fixed StopLoss and TakeProfit. It can be closed by initial StopLoss, by initial TakeProfit or by opposite signal. Second order trades fixed StopLoss without any TakeProfit. It can be closed by initial StopLoss, by StopLoss modified by Trailing or by opposite signal. 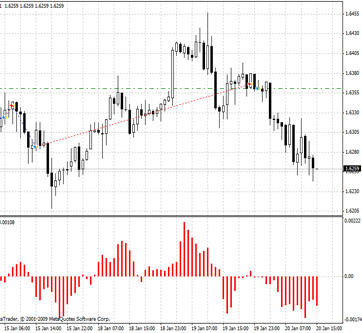 3 H1 bars (NoTrade.h1, NoTrade.h2 and NoTrade.h3) to exclude any trades at this time. There are trade days option that makes it possible to include or exclude any day of week from the trade. There is MarketExecution option to support of brokers allowing only market execution. You can apply "MarketUniverse" to 4-digits and to 5-digir accounts. Set 4 or 5 to AccDigits option the way it should be done. This value is amount of digits after decimal point on EURUSD pair.